NIGERIAN PILGRIMS START HOMEWARD JOURNEY TODAY – Royal Times of Nigeria. Nigerian pilgrims who performed this year’s Hajj would start returning home today. An official statement by the National Hajj Commision stated that the return journey would begin with FLYNAS Airline (a Saudi-based Air Carrier) that would airlift Kogi State Pilgrims first from King Abdulazeez International Airport Jeddah to Nnamdi Azikiwe International Airport in Abuja. Kogi State Pilgrims this year were the first to be airlifted to the holyland in an exercise that commenced on 21st July, 2018. 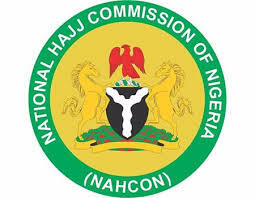 Reports indicate that all Nigerian pilgrims who are now in Makkah are in good condition with their welfare being looked after by the National Hajj Commission (NAHCON). The welfare include, accommodation, feeding, medical care and guidance on how to complete the balance of pilgrimage especially for those that are yet to visit Madinah. Meanwhile, NAHCON has reiterated that each pilgrim should adhere strictly to 32 kg luggage rule with 8 kg hand-luggage for their return-journey. The rule according to Chairman NAHCON Barr. Abdullahi Mukhtar Muhammad, would be duly enforced to guide against any abuse whatsoever. It is expected that the return journey would be faster than the inward journey into Saudi Arabia simply because over 95% of the pilgrims are ready for home after the pilgrimage. State Pilgrims Welfare Boards and FCT have been enjoined to prepare their team readily in accordance with the flight schedule that is given to them.